Aoife Harrington, a 16 year old student from Thornton College in Buckingham here in the UK has been lucky(!) enough to spend her work experience week with the team here at Shaderlight HQ. 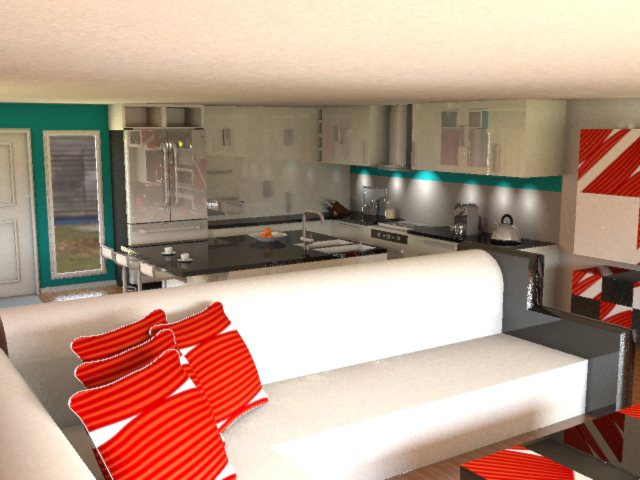 A complete 3d newbie, Aoife has proved to be a natural when it comes to interior design – using inspiration from images she found online she’s managed to model and render some great images with Google SketchUp and Shaderlight Pro. I used Google SketchUp for the first time during my work experience placement at ArtVPS and then rendered my model using Shaderlight. 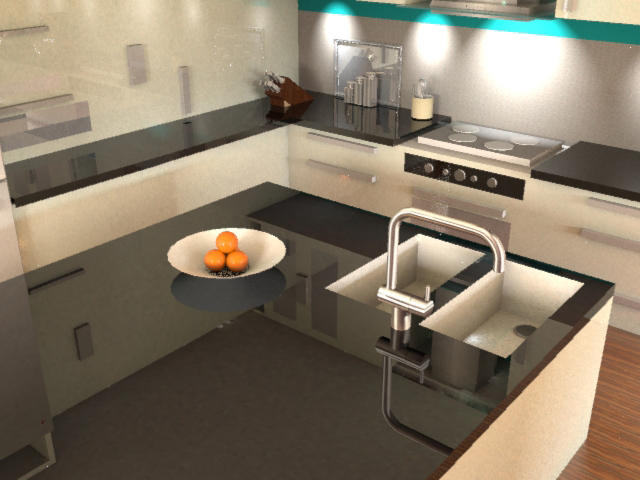 Having never used SketchUp before, I was in need of some guidance and so the video tutorials on Google’ s website proved very useful in covering all aspects of the programme for new users such as myself. However, I did not find it necessary to watch all of the videos and simply selected the ones covering the things I needed help with, these included offsetting and the ‘follow-me’ tool. I also found it worthwhile to watch some of the videos dealing with even the most straightforward tools as they provided handy tips. on the internet. Once I had completed this I decided to extend the model and so added a living room next to it but kept the whole design open plan. Again, I looked at images on the internet for inspiration. If I had more time I would most likely add more rooms to my model, perhaps a dining room or begin building other storeys. 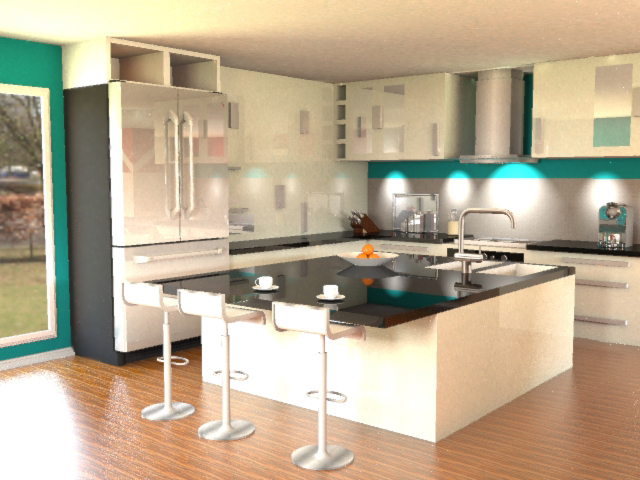 Once I familiarised myself with the basics of SketchUp and drew the model I began rendering using Shaderlight. I had never rendered before, although, I had always assumed it would be a difficult and time-consuming process. Shaderlight demonstrated the opposite and showed that this did not have to be the case. 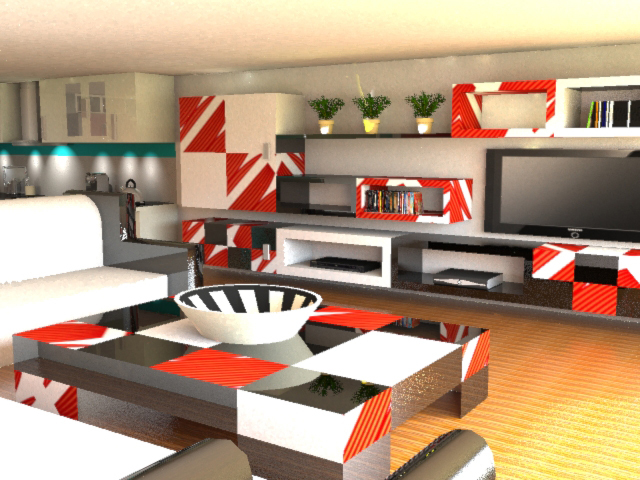 As I did with SketchUp, I used tutorial videos, found on the ArtVPS website which, were again very useful. The company’s staff were also helpful and very friendly which I appreciated very much. I attempted using all of Shaderlight’s features and found that even for beginners the software was easy to use once you grasped the basics; in fact I think I was rather surprised at how simple it was. I particularly liked using the material editor as it created such a difference to the final image so quickly and almost effortlessly. 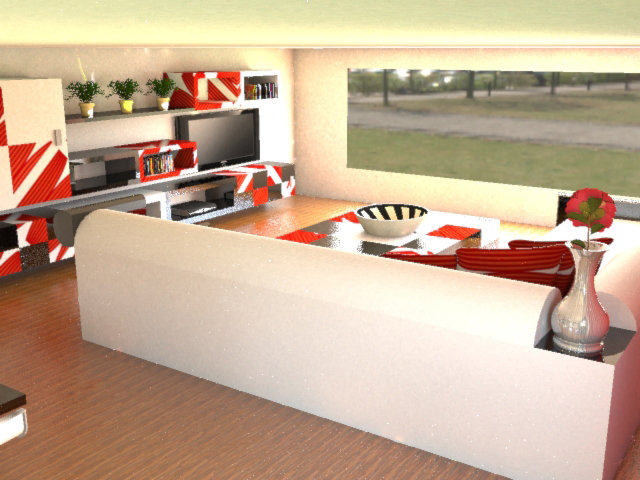 I am pleased with the final result following my first 3D modelling and rendering experience, I believe being able to use both SketchUp and Shaderlight will be very useful in the future. The results which are achievable in such a short amount of time with this software are really quite impressive and I intend to continue using it in order to improve and be able to create more advanced images. In addition to being useful, learning how to use these programmes has been an interesting and enjoyable experience which I would definitely recommend to other s. With regard to advice on how they should get started, I would suggest looking at the same videos which I watched – talking to someone who knows how to use the software is also a very good way of learning. I think the results say it all – great work Aoife!